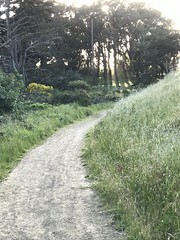 Maps, guides, reviews, facility info, history, and links to Just About Everything You’d Want To Know about McLaren Park. 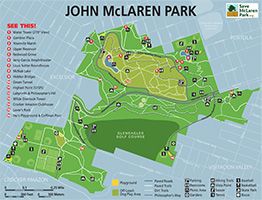 Save McLaren Park announces a new comprehensive electronic field guide to the plants and animals of the City’s second-largest park! It is based on iNaturalist crowdsourcing software for biological observations, and describes over 300 reported species within the park’s boundaries. Maps are provided to locate each species in the park, and custom field guides may be printed or shared via PDF files – perfect for school field trips and nature walks! You can even search for species via your mobile web connection. 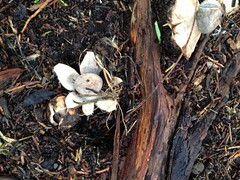 See the “more” link at the top of the page for details on how to use the field guide, and for links to more park information. 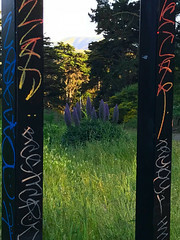 This entry was posted in Natural Areas, Park Info and tagged animals, field guide, plants, species, trails on August 29, 2013 by kensanfran.